The fact that you use a small vaping device doesn’t mean that you don’t still demand the best, and SMOK understands that perhaps better than any other company in the industry. 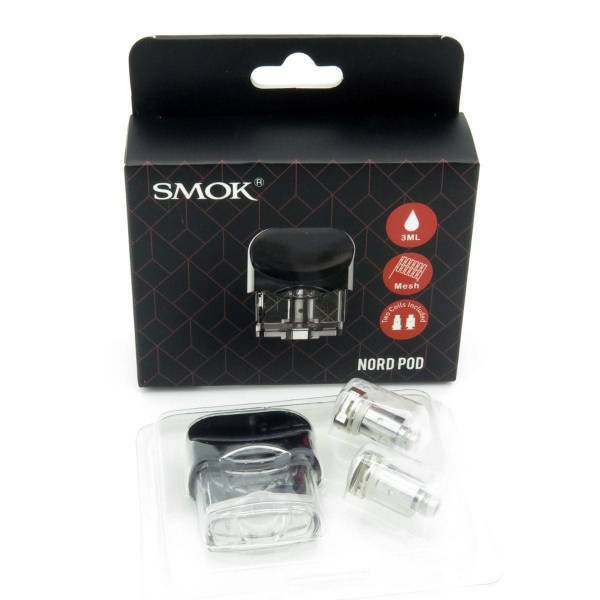 The SMOK Nord might be a tiny pod vaping system, but it’s the only one with a direct-to-lung mesh coil available for experienced cloud chasers. 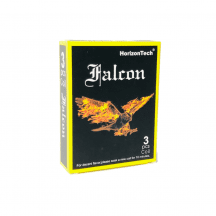 Are you a nicotine salt e-liquid user who prefers a mouth-to-lung vaping experience? 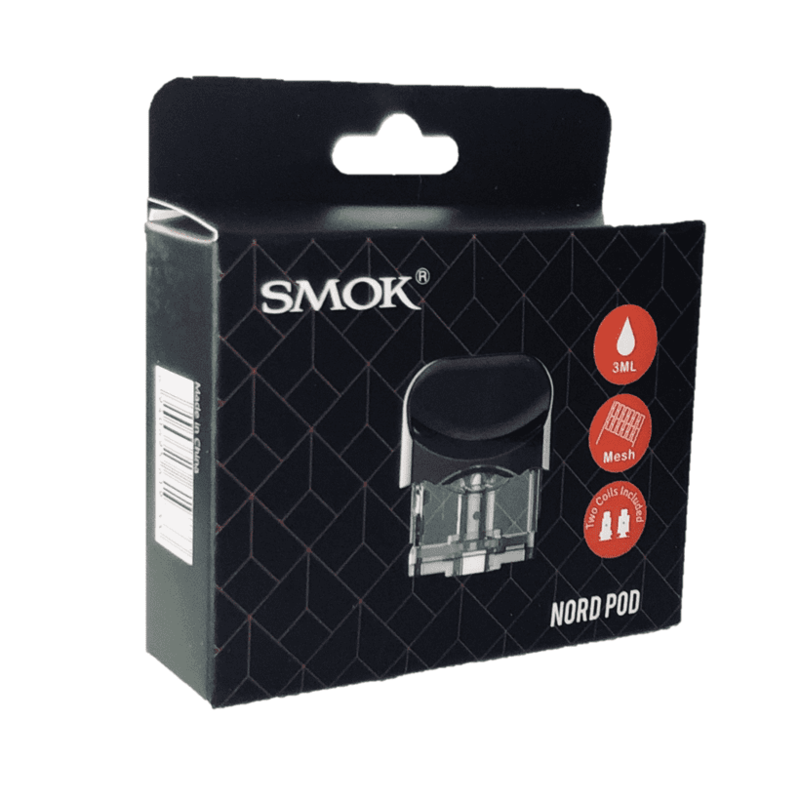 No problem; the SMOK Nord also supports that — and when you need some replacement SMOK Nord pods, you can always grab them right here. We always guarantee that our products are authentic, and we always ship them for free. NOTE: SMOK Nord pods and coils are sold separately. Add some SMOK Nord coils to your cart before checking out. The fact that you use a small vaping device doesn’t mean that you don’t still demand the best, and SMOK understands that perhaps better than any other company in the industry. The SMOK Nord might be a tiny pod vaping system, but it’s the only one with a direct-to-lung mesh coil available for experienced cloud chasers. Are you a nicotine salt e-liquid user who prefers a mouth-to-lung vaping experience? No problem; the SMOK Nord also supports that — and when you need some replacement SMOK Nord pods, you can always grab them right here. We always guarantee that our products are authentic, and we always ship them for free. NOTE: SMOK Nord pods and coils are sold separately. Add some SMOK Nord coils to your cart before checking out. No other pod vaping system gives you the coil variety of the SMOK Nord. Want to chase clouds? Install the mesh coil. If you want to use nicotine salt e-liquids, use the mouth-to-lung coil. If you want a coil that gives long-lasting performance even in high-temperature usage scenarios, install the ceramic coil. No matter what your preferences may be, the SMOK Nord has you covered. The SMOK Nord boasts a battery capacity of 1,100 mAh. The typical pod vaping device tops out at about 300 mAh. The SMOK Nord is incredibly simple to use. Just press and hold the fire button to vape. 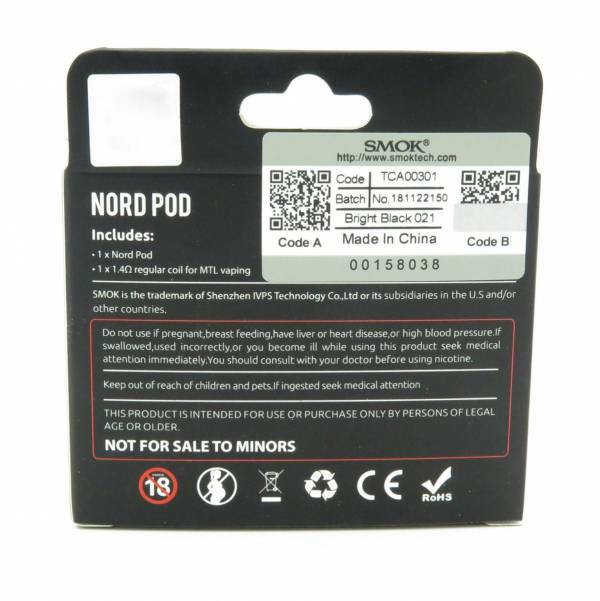 SMOK Nord Pod: 3 ml e-liquid capacity. Refillable and disposable pod. SMOK Nord coils sold separately.